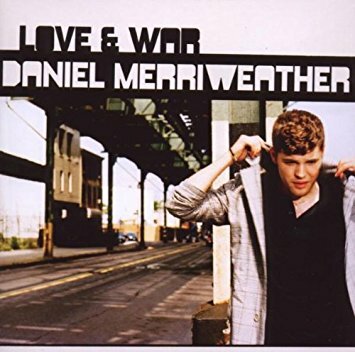 Aussie singer songwriter Daniel Merriweather got his start as a guest singer. He released his solo debut album Love & War in 2009. He had some success especially in England. But it's his only album to date. Because he seemed to have star potential, there has been a lot of speculation about him. I will add my speculation which I think you will find boring. He was born Feb. 17, 1982 in Melbourne, Australia. He got into music as a teen. As I said, Merriweather became known as a guest singer especially with British producer Mark Ronson who is best known as producer of the late Amy Winehouse. And when Ronson records his own albums, he uses guest singers because Ronson doesn't sing. Merriweather appeared on a couple of songs on Ronson's 2003 album Here Comes The Fuzz. He signed with Ronson's label Allido and a couple of singles were released in 2004. There was some buzz and speculation that Merriweather was recording an album. It turned out to not be true. It looks like they were demos. He worked with Aussie hip hop artist Phrase. In 2007, he appeared again as a guest vocalist on Ronson's album Version. The single Stop Me did well in England. 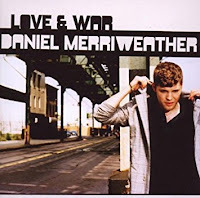 Finally Merriweather's debut CD Love & War was released in 2009 including guest appearances by Wale and Adele. Red was the second single and it reached #5 on the UK Singles chart. The album was certified Platinum in England. The song was written by Amanda Ghost, Ian Dench and Scott McFarnon. Amanda has recorded solo but I don't think she ever recorded this song. Merriweather toured but he has yet to record a second album. Love & War is available as a budget CD. He has done some writing and production. He was even the victim of a recent death hoax. There was also a report in a British music mag that Merriweather plans to release new music and tour in 2018. It's not true. I don't know if Merriweather will ever record a second album. I doubt it. For one thing, he closed his website. That doesn't mean he won't continue in music. But he seems to prefer writing and producing and maybe he doesn't enjoy being in the spotlight. I told you it was boring. Here's the video for Red by Daniel Merriweather.